Solo Queue VS Draft Mode - What do they mean? A lot of people get confused by what these two lists mean and what they represent. So here's a little info explaining them both. Solo Queue tier list is about how well you can carry your team to victory with those champions. Basically it's how well those champions pub stomp Solo Queue games and how well you can carry yourself, to grind elo, with those champions. It's not how well they fit into a 5v5 competitive play tournament try hard setting game. It's merely a (who's the best to gain elo with while in solo queue) as I believe those champions are the strongest in doing that. 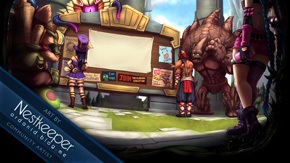 That does NOT mean they're the best champs in the game per say, just means they're easy to play, and own up solo queue. That is all. Solo Queue = How well you can carry yourself and a bunch of randoms to victory tier list with recommended champions to do so. Draft Mode tier list is about how strong those champions are in terms of "Picks". When it comes down to competitive tournament play Draft Mode, each champion has a specific strength or ability that is weighed by each team. Each team thinks X champion is stronger then Y champion, so they value "Picking" them first over others. The Draft Mode tier list is how strong these champions are too teams in terms of how well they fit into their team comps, and who's more valuable to their team over others. This does NOT mean that champions lower then high picks are bad, it's just those lower tier champions might be countered harder, not lane as well, or just not as viable in their desired team composition. That doesn't mean that they're bad though, just mean they require a better situation so that they might be picked. An example.. Katarina is a very low pick because she's countered easily by stuns and interrupts. Now if the enemy team doesn't have a lot of these then Kat becomes a godlike pick because if you can't stop her ulti then she becomes god tier. Is she a bad champion? God no. Is she countered easily though? Hell yes. There's just a time and a place to pick her. That's what I am talking about. How great the "Pick" is, not how strong the champion is. Draft Mode = How strong a champion's "Pick" value is. The higher they are, the more chances they have to being picked in competitive play. Lower they are, just means you won't see them as much, but doesn't necessarily mean they're bad in any way shape or form. The Riot Staff like to troll me. So I make posts back at them. This is them below! I can't tell whether 'rolls' is a malapropism or a very clever pun. why is anivia so low, she has a stun, slow, and the wall, decent aoe dmg, and good single target nuke, and good sustained damage with a good passive? Can't say I agree with Soraka being the queen of support. Janna > all day long at babysitting. You're also missing a few heroes. why do you always put your name before your post >_>; haha jk, sall good. As for the actually tier list. i think it looks good. I mostly look at these topics as a "opinion" rather then a statement, but i think it looks good! How is udyr ranked above sion/singed/anivia/poppy/twitch/shaco? Also, I can't remember all of the heroes that should be in your tier 5 but I feel that panth should be amoung them. Because Udyr is way better than all those you mentioned? yup, perty good list. I mean almost all of the lists right now are gonna have like the same champs from tier 1-3 and the same champs in tier 4-w/e, just the order and placing are different because they are based on personal prefrence then. Janna and Udyr in my eyes are clearly 2 of the strongest champions in the game. 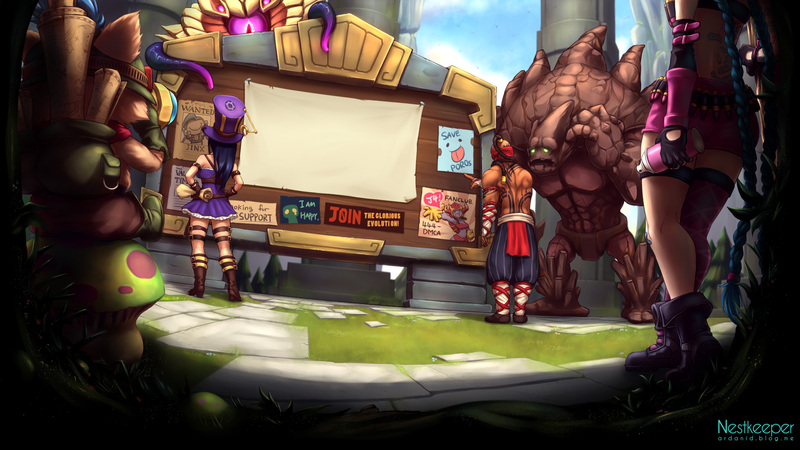 Maybe you're already taking into account incoming Udyr nerfs and anticipating a Janna nerf?